Flight Simulator 2017 FlyWings is finally here! It contains many improvements and the flight physics are perfect! Enjoy a huge set of aircraft – 55 – and almost every air company there is! 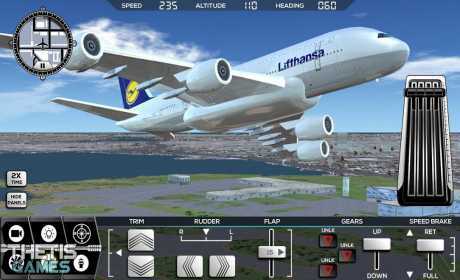 This is definitely the best flight simulator ever developed for mobiles! Fly in more than +1000 missions, over +600 airports in 9 different cities around the world. The first mobile simulation with all city’s buildings and houses, all the airports have fingers, terminal, hangar, and taxiway lines. Real light system on the runways, with PAPI lights and more! 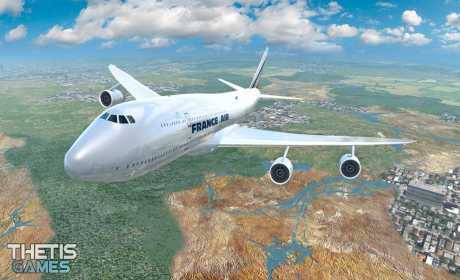 The environment, scenario and 3D models are very detailed, realistic and you can change almost every simulation parameters, like visibility, temperature, turbulence, wind direction, all the weather conditions and hour of the flight. Fly in stormy weather, with lightings and heavy rain to test your skills! All the aircraft included in the simulator have specific modifications and special features, you will be able to choose the best aircraft that fits your needs! – Configure the model specification and family. – Choose one of the dozens of airline companies to fly your plane. – Configure fuel payload and weight. – Control all flaps, trims, spoilers, gear and turn engines on or off. – Very detailed 3D model of the planes. – Turn all the light signals on and off (Strobe, Landing, Transponder etc). – Autopilot with speed, altitude, vertical speed and heading. – Weather conditions and hour option to choose when to fly. – +600 airports around the world. – All airports have taxiway lines. – All the cities have real buildings and houses. – All airports have landing and take off lights. – Thousand+ miles in 9 cities. Give us your feedback! 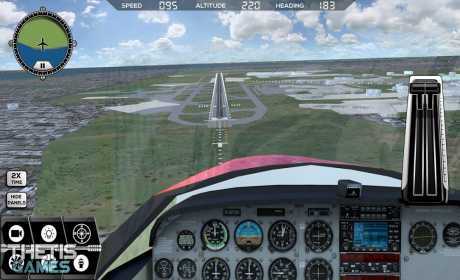 All the updates we will be releasing for this flight simulator in the next weeks depend a lot on what you tell us!